Charles Dickens is not feeling the Christmas spirit. His newest book is an utter flop, the critics have turned against him, relatives near and far hound him for money. While his wife plans a lavish holiday party for their ever-expanding family and circle of friends, Dickens has visions of the poor house. But when his publishers try to blackmail him into writing a Christmas book to save them all from financial ruin, he refuses. And a serious bout of writer's block sets in. Can you imagine writing to Father Christmas and actually getting a reply? Every year, the children of J.R.R. Tolkien would write to Father Christmas, and the letters they received told wonderful stories of his adventures at the North Pole. 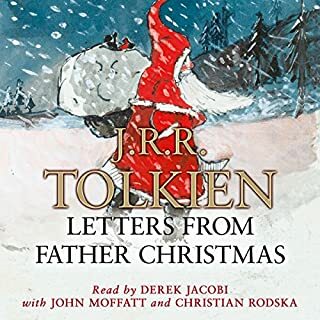 These humorous tales are brought to life by Derek Jacobi as Father Christmas, John Moffatt as Polar Bear, and Christian Rodska as Ilbereth the Elf, complete with specially composed music. All of your favorite Christmas stories in one fantastic collection. From heartfelt stories such as O. Henry's "The Gift of the Magi" to tales of mystery from G. K. Chesterton and Sir Arthur Conan Doyle. Here is a treasure trove of tales from some of the best writers in the world, narrated by the voice of the Classic Tales: B.J. Harrison. Each story is presented unabridged. Charles Dickens was a major contributor to the romantic revival of Christmas traditions that occurred in the Victorian era. With their heart, humor and good morals, Dickens' Christmas stories have made the author's name synonymous with the season. Here we present four charming novellas to complete his series that began with "A Christmas Carol", with echoes of sleigh bells throughout. The stories include "The Chimes", "The Cricket on the Hearth", "The Battle of Life", and "The Haunted Man" - the perfect companion for the yearly celebrations. Charles Dickens: A Life gives full measure to Dickens's heroic stature - his huge virtues both as a writer and as a human being - while observing his failings in both respects with an unblinking eye. Renowned literary biographer Claire Tomalin crafts a story worthy of Dickens's own pen, a comedy that turns to tragedy as the very qualities that made him great - his indomitable energy, boldness, imagination, and showmanship - finally destroyed him. A baby is found by wood nymphs in the forest of Burzee. They raise him as their own and give him the name Neclaus. When he grows up, Neclaus has to leave the forest so he makes a home for himself in the laughing valley of Hohaha, where he lives amongst humans for the first time. He discovers there that many children are very poor and neglected so, to cheer them up, he whittles wooden toys as gifts. Eventually he makes presents for all the children and so the story of Santa Claus is born. The holidays are upon us, and this year Audible is very happy to present to our members one of Charles Dickens’ most popular Christmas stories, The Cricket on the Hearth. This holiday classic (original subtitle: “A Fairy Tale of Home”) tells the innocent, picturesque, and charming story of a poor family and their would-be guardian angel; in short, a delightful vision of Victorian Christmas. As always, a great story calls for a great voice, so we’ve brought in legendary actor and record-breaking Audie and Grammy award-winning narrator Jim Dale ( The Night Circus). Happy holidays and happy listening! As uplifting as the tale of Scrooge itself, this is the story of how Charles Dickens revived the signal holiday of the Western world. Just before Christmas in 1843, a debt-ridden and dispirited Charles Dickens wrote a small book he hoped would keep his creditors at bay. His publisher turned it down, so Dickens used what little money he had to put out A Christmas Carol himself. He worried it might be the end of his career as a novelist. The book immediately caused a sensation. And it breathed new life into a holiday that had fallen into disfavor, undermined by lingering Puritanism and the cold modernity of the Industrial Revolution. It was a harsh and dreary age, in desperate need of spiritual renewal, ready to embrace a book that ended with blessings for one and all. 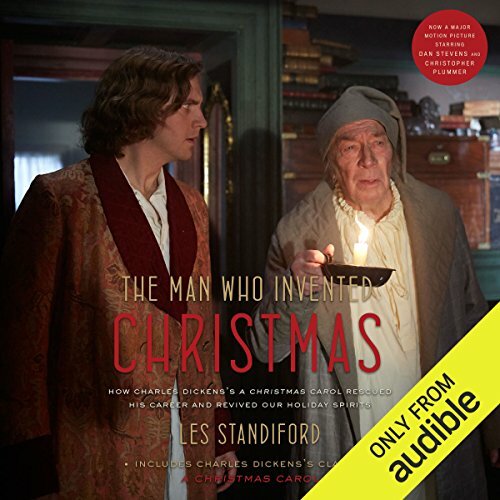 With warmth, wit, and an infusion of Christmas cheer, Les Standiford whisks us back to Victorian England, its most beloved storyteller, and the birth of the Christmas we know best. The Man Who Invented Christmas is a rich and satisfying listen for Scrooges and sentimentalists alike. 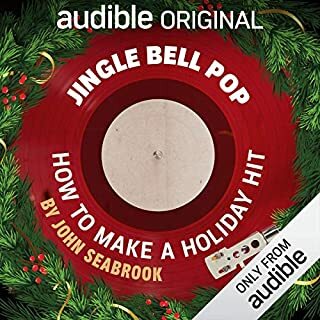 ©2008 Les Standiford (P)2017 Audible, Inc. I learned so much from this enjoyable tale of a master storyteller. 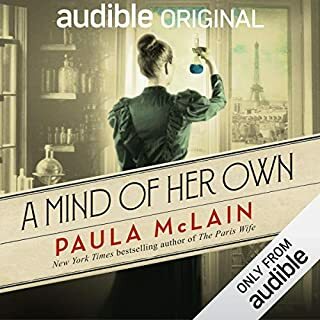 The narrator's voice, pleasantly expressive, effectively brought characters to life and kept interest alive throughout the book. 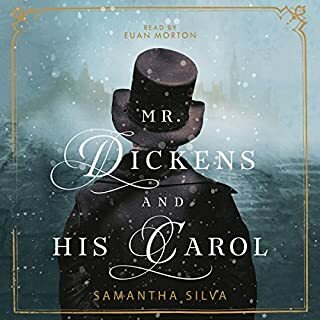 I was fascinated the entire time, and I was delighted to discover connections between Dickens and his Carol that I never knew before. Excellent book and narration! A History of Charles Dickens & "A Christmas Carol"
Narrator has personality in imparting information. Book reads like an academic history book - (spotted with interesting trivia). 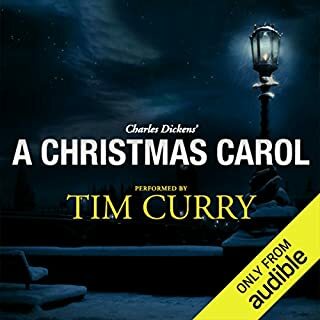 Too dry to be left feeling in a "holiday mood" after reading/hearing, but rather leaves you with thorough knowledge about the history of Dickens, his writing of "A Christmas Carol" and the story's contribution to how Christmas is currently perceived. Anyone who loves Dickens’ A Christmas Carol (and who doesn't?) should read this book; The Man Who Invented Christmas will help its reader understand Dickens’ condition at the time he wrote the story, and the challenges he faced in getting it written at all, let alone in the few weeks he had to finish the project before the Christmas season passed him by. But The Man Who Invented Christmas is much more than a book about a book. Instead, it is best understood as an excellent short biography of Dickens and an explanation of his times and the impact of his work, with a special focus on A Christmas Carol. There is also a good deal of information about the history of Christmas, which Mr. Standiford provides to show how Dickens' book revived the season's celebration. 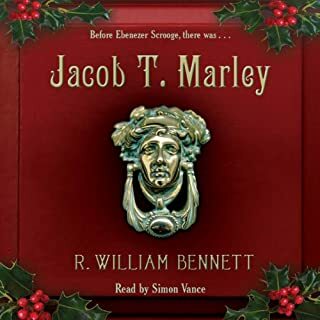 As I wrote my own Christmas story, Back to Christmas, I read and listened to A Christmas Carol more than a dozen times. But after listening to Mr. Standiford’s excellent book, I feel like I understand Dickens' story better than ever before. Boring. Like reading a long encyclopedia entry. Pedantic, plodding telling about Charles Dickens' life and writing of not just A Christmas Carol but other stories as well. So boring. Listening to it was like work. Like forcing myself to do a distasteful assignment. Read the wikipedia entry about A Christmas Carol and you've got the picture. No need to drone on about it for 4+ hours. A fascinating account of the life of Charles Dickens, how he came to write his most famous and loved work, and why the work became timeless. Well written and well read. Expected it to be more about the evolution of the modern Christmas and Dickens' role in that. Instead it was a biography of Dickens with emphasis on his writing career and his publishing trials. There was a main focus in the publishing industry, how and in what manner Dickens published his works and what money he got for writing what. There's only really one chapter about A Christmas Carol and one chapter about its part in the evolution modern Christmas culture. Other reviews have said as much but I hoped it was an excess of needless information with kernels of relevance. But cut away the publishing info and there isn't much in the book. I'm disappointed and didn't learn much. Looking to read The Battle for Christmas next for the type of book I expected to find here. Except that the reader couldn’t decide if the book was about Dickens ot Dickinson..the story was well written and well read. I very much enjoyed this background work on The Christmas Carol. However, the story of Dickens own redemption is so well woven in with "the Carol's" origin it is hard to see where one ends and the other begins. To me, that was a joy in listening to this. I commute about an hour for work; so during the holidays it was nice to have a scholarly yet holiday related work to listen to. If you've ever wanted to as the Ghost of Christmas Present states " ...come here and know me better man." This book will do the job. I learned a lot about both Christmas and Charles Dickens. The first hour and a half was a little slow, but necessary for the rest of the book. The performance was good, and I enjoyed it. For me, it was wonderful to hear how Dickens wrote, and understood his Christmas Carol. So much of our culture changed as a consequence of this book, and this author. Wonderful opportunity to learn about this holiday and us.